Your comfort and health is our priority! When we think of healthcare, we think immediately of nurses and so we should, because nursing care is central to patient comfort and recovery. The FVH Nursing Team is a truly dedicated and committed group of professionals who stand ready to respond to their patients’ needs. "Promoting your health through good, healthy food"
At FV Hospital, we are concerned with the complete well being of our patients and staff, including what they eat and drink. Every day of the year, we aim to provide a balanced range of appetising and nutritious foods and drink, enabling patients and staff to have a choice that reflects their needs. From the moment you are welcomed by FV Hospital, our International Patients Officer will endeavor to note and act upon your progress, needs and requests. 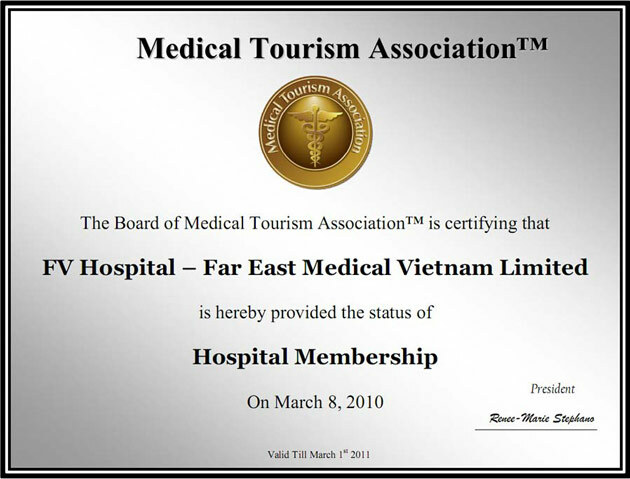 During your stay, the International Patients Officer will visit you every day to determine your status as well as level of comfort and to hear of your concerns (if any): should a response be required the attending physician and nursing staff will be consulted to determine the best course of action. Your comments are also welcome. Please direct your suggestions – or, any complaints which you might have - to the International Patients Officer. Whether for business or pleasure, it is easy for patients to stay in touch using our free and high-speed internet access points. If you have your own laptop, you can connect from the comfort of your own room. Simply ask your nurse and our IT department will quickly connect you. A free Wi-Fi connection is available outside the cafeteria (first floor) and opposite the coffee shop (ground floor). Patients and guests without a laptop can use the internet café (first floor). Access cards can be obtained from the gift shop, the coffee shop, the main cashier or the A&E cashier. FV Hospital also provides postal services for patients who wish to stay in touch the old fashioned way. If you would like to send a letter, please hand it to the Ward Secretary on any day between Monday and Friday. Postal charges will be added to your bill. Fresh air and sunshine are essential ingredients for a full recovery. Patients and their visitors can enjoy both on our pleasantly landscaped terrace (third floor). Outdoor seating is also available at the ground floor main entrance. If you or your visitors would like to smoke, we ask that you please leave the hospital building.